It was 1988 when world-renowned composer Andrew Lloyd Webber brought French writer Gaston Leroux’s Phantom of the Opera to Broadway, and it has become the longest running musical with more than 11,000 Broadway performances. Pulling on heartstrings, Phantom is filled with romance and mystery as young soprano Christine Daaé finds herself in a love triangle with Erik, the enigmatic Phantom who masks his deformed features, and her childhood sweetheart Raoul, Vicomte de Chagny at the Paris Opera House. To celebrate the 30th anniversary of the highly acclaimed theatre piece, Milestone Production presents An Evening With The Phantom Of The Opera live at Berjaya Times Square Hotel Kuala Lumpur on 18 April 2018. The concert stars lead male singer Michael Cormick, a distinguished talent who played Raoul in the West End production for three years and toured with The Music Of Andrew Lloyd Webber as the Phantom. 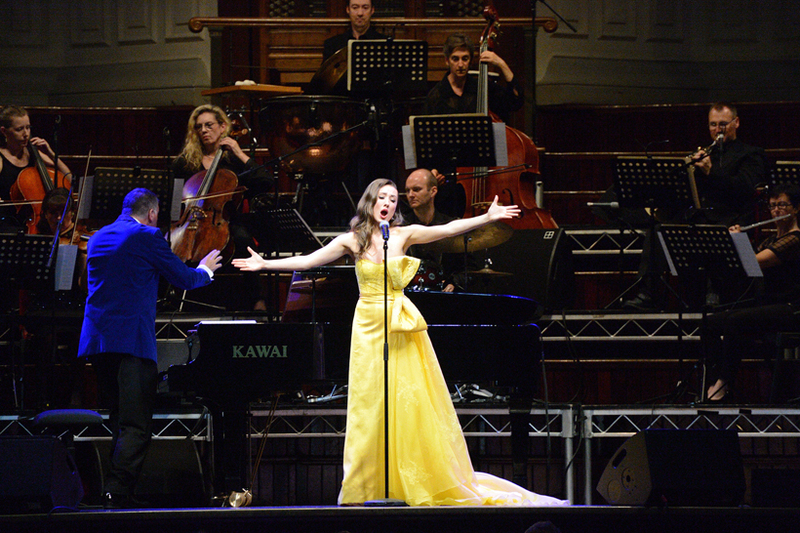 Dueting with him is Australian actress and singer Claire Lyon who took on the role of Christine in the World Tour of the musical from 2012 to 2015. She was also the lead role of Mabel in the Broadway version of The Pirates of Penzance which earned her a Green Room Award nomination. Australian music director Bernard Walz will lead the orchestra through this 75-minute concert. A veteran in conducting the music from Phantom of the Opera, he has toured with English actor Michael Crawford, who originated the role of the Phantom and performed internationally for the past 25 years. Relive your favourite tunes from the musical as they belt out enthralling classics such as Think of Me, All I Ask, Music of The Night and Point of No Return, along with songs from other pieces like Music of The Night, Masquerade and All I Ask of You. Mark your calendars for An Evening With The Phantom Of The Opera, happening for one exclusive night only! Book your tickets here. WHEN 8.30pm (18 Apr), One Show Only!